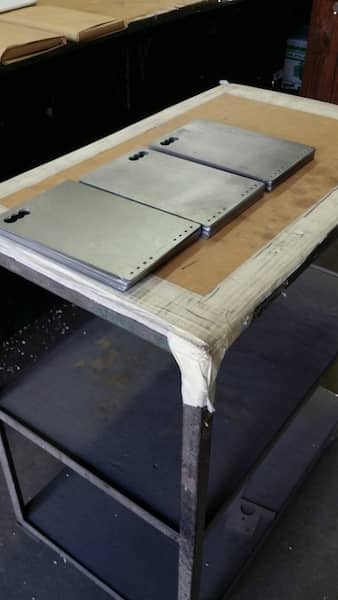 Cutting steel sheet metal to size and individualize it - is our daily business. When we were first approached by the our customer, we thought this was a great Christmas present, because it combines several things. What you see here is the metal cover of a paper notebook. The sheet metal steel was deliberately chosen because the metal needed to be magnetic. Also the customer liked the idea that we were able to cut the outer rim of his company logo into the metal, for him to place a color printed logo behind it. The steel metal cover is magnetic and so the user can actually attach magnetic stickers on it, to highlight his personal notes even more. 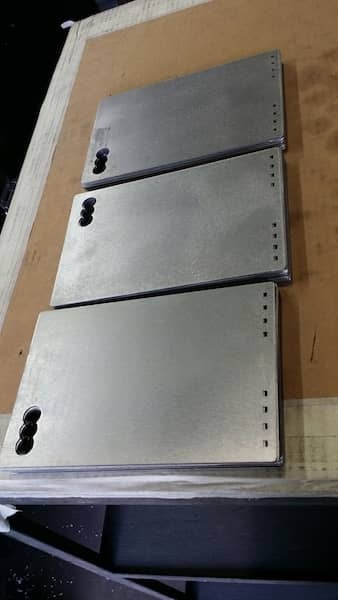 Now carbon steel is not corrosion resistant metal, which was another feature our customer liked as over time the metal cover for the paper notebook will get a patina and therefore will be even more individual. We hope will be getting a picture of the final metal notebook cover to show you in a later post on our blog.